We undertake change management projects in local, regional and national organisations. We specialise in assignments which require senior level expertise in transforming large service areas and in developing new services to address changing community needs and customer demands. We also work in project management roles in range of different settings, and offer expertise in managing multi-professional teams. We combine a strategic perspective with attention to detail and a focus on achieving value for money. Janet Dean leads our Change and Project Management Practice. Janet has worked as Executive Director in London and the North of England managing most universal public-facing services, including housing, social services, planning, environment and transport. Substantial achievement in permanent and interim Director roles underpins her success as a Non-Executive Director, strategic adviser and leadership coach. She is known nationally for work in housing and regeneration, as well as in health and social care. She is an acknowledged expert in Board governance, partnership working and collaboration and is highly valued for the changes she can help to deliver in people and organisations. Janet is Chair of Compass UK a national drug and alcohol treatment agency. She is a Governor of Sheffield Hallam University and Chair of its Finance and Employment Committee. 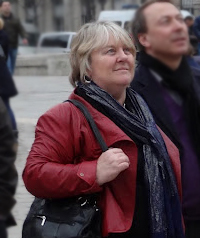 Between 2009 and 2012 Janet was Chair of Sheffield Homes and a Board member of the National Federation of ALMOs. Formerly a Non Executive Director of NHS Yorkshire and the Humber, Janet is now an Associate NED of North Yorkshire and York PCT. A Fellow of the Royal Society of Arts, Janet has been designated a Public Appointments Ambassador by the Government Equalities Office, and appointed by the Department for Communities and Local Government to be a member of the Doncaster Recovery Board. Janet has completed several high profile projects for local authorities in the North and Midlands, as well as strategic assignments for national bodies such as the Local Government Association and the Homes and Communities Agency. These projects have delivered rapid service improvement, organisational and strategic change and physical regeneration and skills transfer. Trained in Coaching and Mentoring at Sheffield Hallam University, Janet operates a private coaching practice for senior executives across the public sector.